If you missed out on tickets to Billie Eilish’s Auckland or Brisbane shows, never fear! The global superstar has released more tickets to these two shows after fan responses to the two dates selling out so quickly! The additional tickets will go on sale this Thursday, 29th March 12pm (local time) so get in quick and don’t miss out on a second chance to see Billie Eilish live in New Zealand and Australia with her When We All Fall Asleep, World Tour. US pop sensation Billie Eilish announces additional tickets due to overwhelming demand. Within minutes of going sale last month, the New Zealand and Australian legs of Billie Eilish’s When We All Fall Asleep, World Tour sold out to gigantic demand. Due to the overwhelming fan response, the teenage sensation announces that additional seats are to be release for Auckland’s Spark Arena on Wednesday, 24th April and her two sold-out Eatons Hills shows in Brisbane will roll into one Riverstage on Tuesday 7th May, with additional tickets to be released for the upgraded venue. 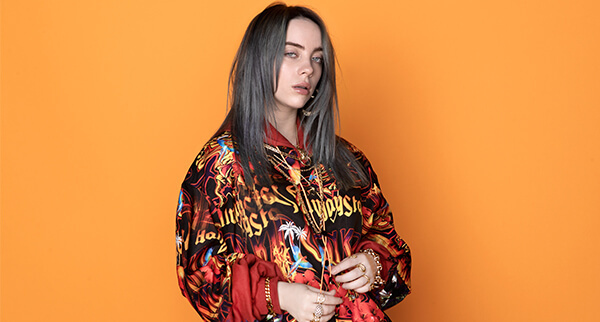 Global pop-phenom, Billie Eilish, will take her hugely anticipated live show into New Zealand this April and right around Australia in May, long with a headline appearance at Groovin’ The Moo 2019. Debut record, ‘When We All Fall Asleep, Where Do We Go?’ released this Friday, 29th March, adds to Billie Eilish’s multi-platinum catalogue, with album tasters ‘bury a friend’ and ‘wish you were gay’ already accusing 166 million and 37 million streams respectively, on Spotify alone. With a dedicated fanbase and energetic live show, Billie Eilish’s When We All Fall Asleep, World Tour will be a special treat for those lucky enough to snag ticket to one of the world’s hottest acts.